On Saturday, Jordan Devlin became the OTT champion defeating WALTER in the culmination of a long feud between the two with Devlin finally defeating his rival. 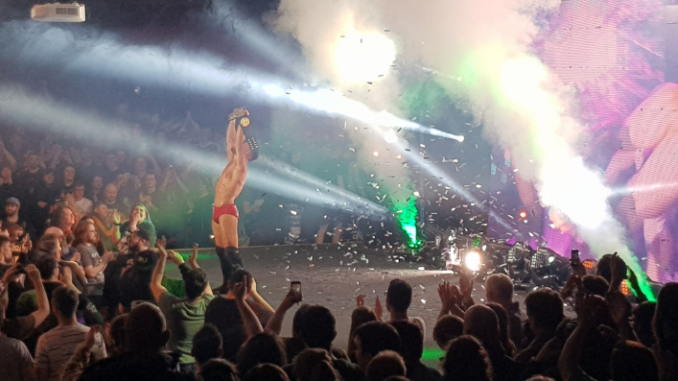 On Saturday at Scrappermania 5, Jordan Devlin became the OTT champion defeating WALTER in the culmination of the feud between the two with Devlin finally defeating his rival. WALTER defeated Devlin for the title last August at WrestleRama 2 in a match that was many people’s choice for best European match of 2018. Through the tremendous hype videos from editor Shaun Ryan, the feud received acclaim all over the industry. Devlin defeated David Starr last month to secure the rematch with WALTER that took place Saturday at National Stadium in Dublin, Ireland. The British Wrestling Experience will be out this Wednesday with much more on this match and Devlin’s win.